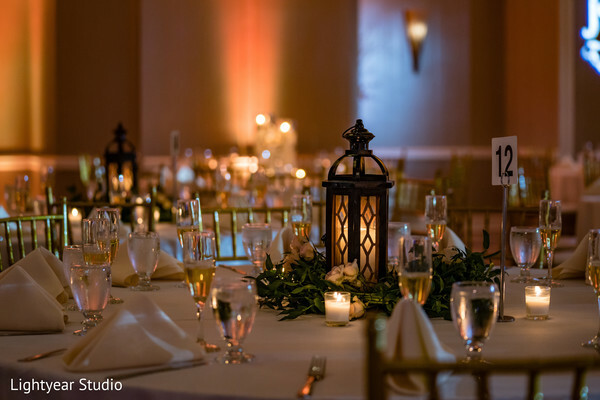 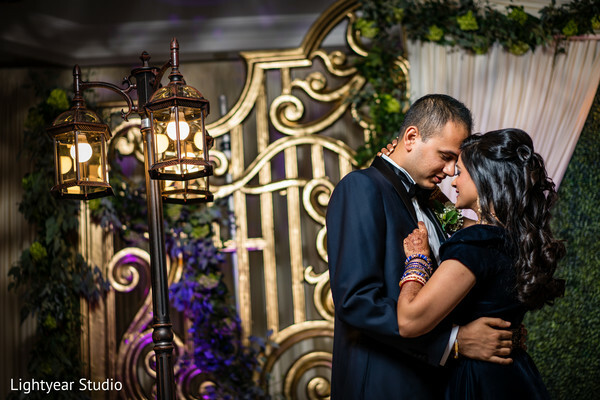 Pooja and Yogin wanted to create a night with both magical and elegant elements and it blended perfectly in a unique reception theme that incorporated lamps, a bench, and a fabulous iron gate! 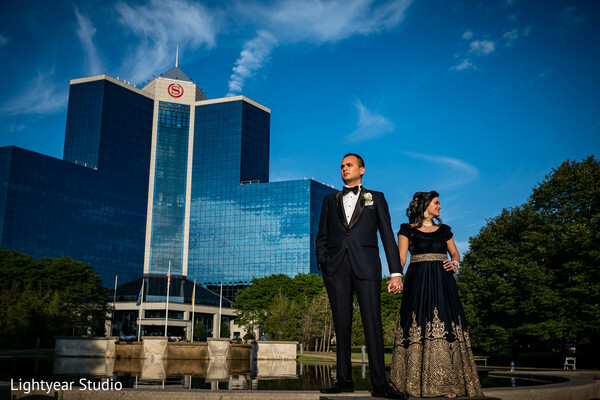 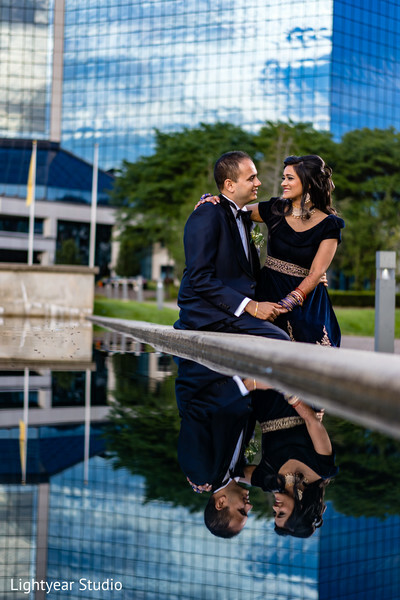 Pooja and Yogin opened the doors of their own park to their family and friends at the Sheraton Mahwah Hotel. 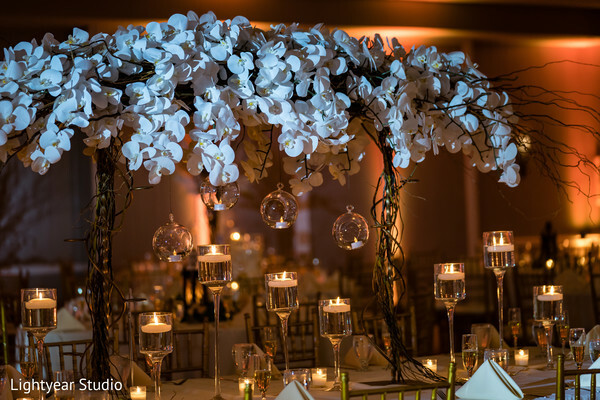 This dreamy indoors garden echoed the couple’s wishes for their big night and was fully designed by Florista Decor. 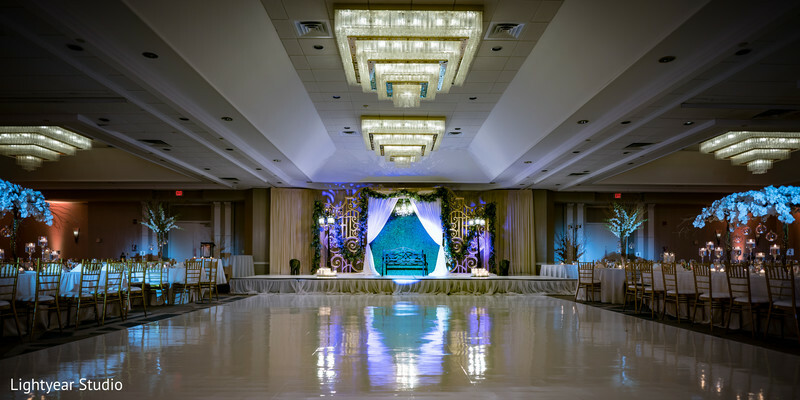 Medley Entertainment provided a great live music performance entertainment that made everyone danced the night away while MVP DJs’ lightning effects transformed the room with a festive ambiance! 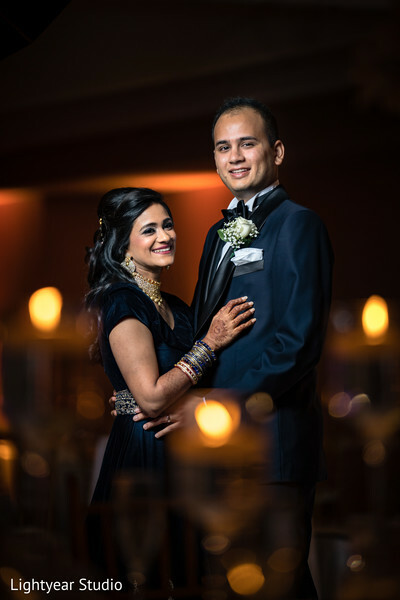 The charming Pooja looked stunning since she was dolled up by Krishna Patel, who created a glam hair and makeup combo for her dark slate blue lehenga! 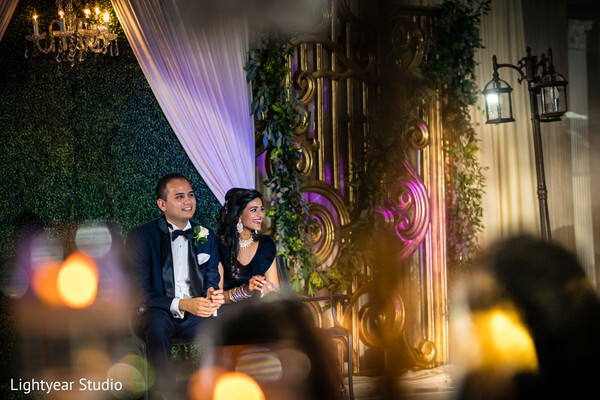 See the stunning captures by Lightyear Studio in our full gallery which I am sure they will take your breath away! 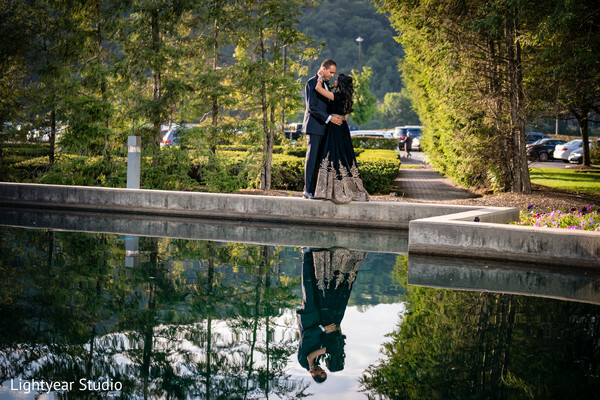 Come back tomorrow and discover more real wedding stories!